Some people are easy to shop for, others a little more tricky. 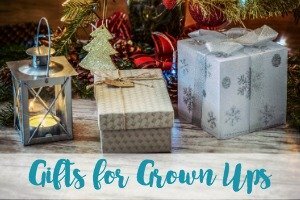 So this year, we’re helping to make your Christmas shopping that little bit easier with our Christmas Gift Guide. 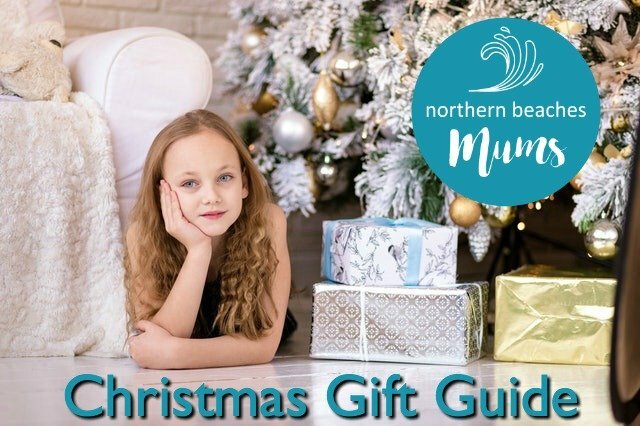 It’s packed full of gifts for all the family and with something to suit all budgets. And to make it even easier to find the perfect gifts we’ve split them for you so all you need to click on the gift type you’re looking for…. Mayka Toy Block Tape – transform any surface into a base for toy building blocks. 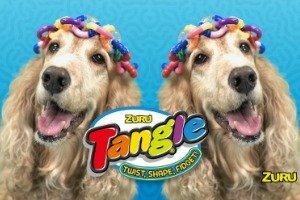 Tangles – Twist, shape and fidget with ZURU Tangles. The possibilities are limitless! 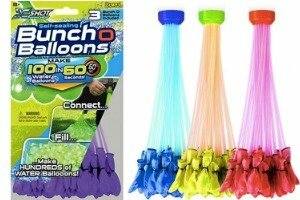 Bunch O Balloons – Get set for some serious water fun with Bunch O Balloons. 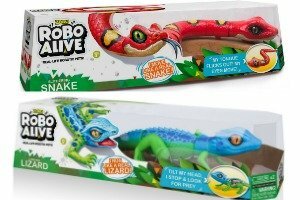 Robo Alive – Bring play to life with ROBO ALIVE’s lifelike robotic reptiles. 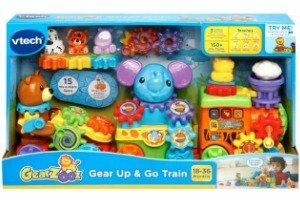 vtech Gear Up & Go Train – Connect the 15 different sized gears to develop fine motor skills and create a colourful gear train! 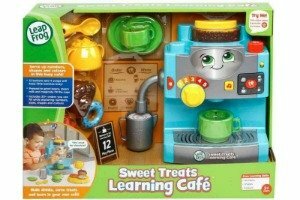 Leap Frog Sweet Treats Learning Cafe – Have your budding barista running their own cafe in no time whilst learning. The Original Stretch Armstrong – He is back! Stretch him, tie him in knots, he will always go back to his original shape. X-SHOT Bubble Ball – The hottest new item that takes contact sports to the extreme! Run, Crash, Roll and Smash! Promo Code: Use code NBKG10 to take 10% off your next order. Local artist and author, Kylie Johnson lives with her daughter Jasmin in Bayview. 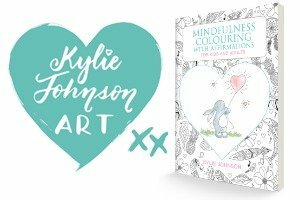 Her new book, Mindfulness colouring with affirmations for kids and adults, sprung from her own lessons during a difficult time when she found that her creativity and self-taught positivity were the answers to healing. 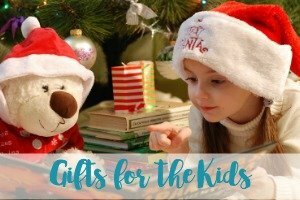 The book is designed for adults and children, and is the perfect Christmas gift to enable loved ones to connect in the present moment together – as well as to bring awareness to children about the power of positivity and the practice of positive-self talk through affirmations. 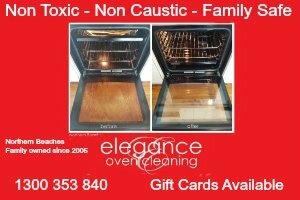 Elegance Oven Cleaning has been servicing mothers all over Sydney, from its beginnings on the Northern Beaches in 2005. We use NON TOXIC and NON CAUSTIC cleaning solutions to bring your oven and other cooking appliances, back to a sparkling fresh new look in no time at all. GEMS IN STYLE – Jewellery like never before! 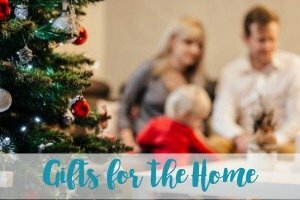 Spoil yourself and your loved ones this Christmas with a gift that is truly genuine! Choose authentic and sophisticated jewellery that will leave a lasting impression. Gems In Style is a jewellery brand that was born out of our passion for genuine semi-precious gemstones and contemporary design. Jewellery that you are confident to wear from a demanding business environment to more casual occasions, and every time it will splash your outfit with an elegant, unique and a hint of unconventional modern charm. A new take on the beauty of natural gemstones and sculptural sterling silver for the best Christmas delight ever. 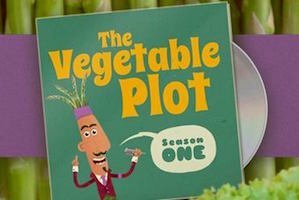 The Vegetable Plot, Season One album is the perfect Christmas present for families. It’s an album for kids that adults love too. My husband is an award-winning singer/songwriter and I’m an early childhood educator. The album features 9 different lead singers and a 12 ‘peas’ band. It’s real music with a fresh, funky vibe and funny lyrics. It’s been hugely popular with the parents at our local preschool. They play it at parties, in class, in the kitchen, in the car. It’s a great way to introduce kids to the joy of vegetables. This is the perfect stocking filler! Perfect for Christmas gifts, the White Collection by Bell Art celebrates the unique white Australian native flowers that are often overlooked amongst the vibrantly coloured gums and waratahs. This stunning set of Dining Placemats and Coasters will impress your guests at your festive table. All of our homewares, stationery and aromatic gifts celebrate the wonder of Australian flora based on the original oil paintings of the late Meryl Bell. 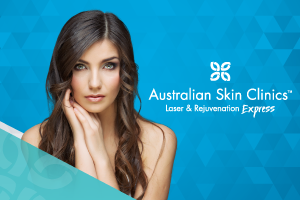 We are a local St Ives business and pride ourselves on being Australian Made with exquisite packaging. 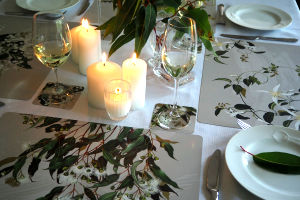 Be inspired by the best of Australian flora this festive season. Gift cards are available for all treatments and make amazing presents, give the gift of beautiful skin this Christmas! 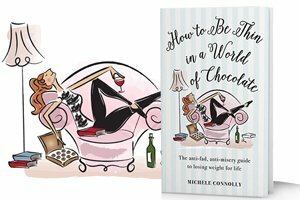 Say hello to this is smart and funny book written by a smart and funny person, Michele Connolly. It is the perfect little gift for your BFF’s. This is the book we’ve been waiting for and could have been called Cunning strategies for looking and feeling the way you want without missing out on life’s pleasures. But life is short, and that title is not. And also like life, there needs to be chocolate. So when you’re clutching at drinking straws deciding what the best gift for your smart, sassy, funny, one of a kind bestie could be, pick up a copy of this cheeky book. 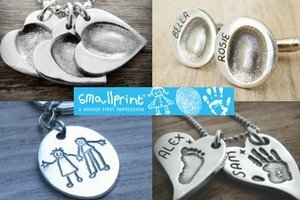 Smallprint original fingerprint keepsakes comprise a wide range of jewellery capturing your loved ones’ fingerprint in silver. No moulds are used. I take the print directly onto your piece of jewellery, so each original fingerprint keepsake has been touched by someone you love. It doesn’t get more unique nor sentimental than that! As well as fingerprints we can also showcase handprints, footprints, drawings and written names on pendants, charms, cufflinks and keyrings. The perfect Christmas present for mum, dad, grandma or grandpa. Each piece is bespoke, hand-crafted and engraved personally by Claire. Sportensil® – Holiday Gifts for Mr. Impossible to buy for! 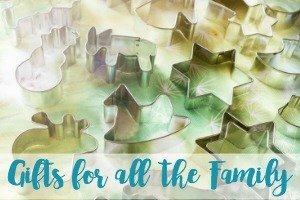 Looking for a unique and special holiday gift? 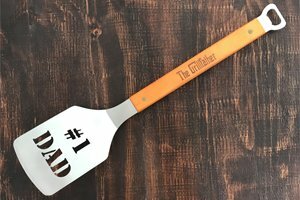 If he likes to BBQ, then Sportensil’s spatulas are the ultimate holiday gift! Laser cut designs in #1 Dad, Surfer, Golfer, Fishing and more. Shop now! Sportensil® is a local Northern Beaches startup that designs a range of high-quality, laser-cut, BBQ tools that make the perfect gift for HIM! Our products are made using high-grade stainless steel, with a rich maple wood handle and a convenient bottle opener. All our designs are laser-cut to precision. Give the gift of grilling. 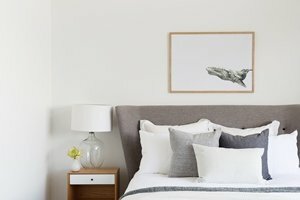 Based on Sydney’s Northern Beaches and growing up close to the ocean and nature, Leah’s work is inspired by her love of animals and all things natural, curated for those who share this same passion. Her animal artworks have large personalities and her Botanical series make for great feature pieces in your perfectly styled home. 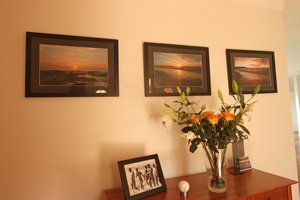 Leah’s Mark Illustration specialises in custom hand-painted watercolour artworks, art prints and Pet portraits. The Blueprint Body is a 12 Week Nutrition and Training Program, from the Northern Beaches, with 5 ‘body’ programs for Men & Women. Lose weight, get fit and create a healthy lifestyle with nutrition guidelines and meal plans that are simple, yet customisable. Train at home or your local gym, with only a few sessions per week. Direct support from your Coaches, Andrew and Julia. No shakes, fasting or pills. No training 6-7 days or eBook with no support. Any questions? 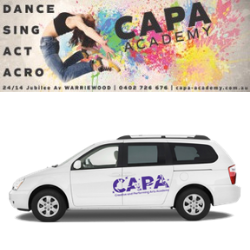 Email body@theblueprintbody.com.au or call Andrew on 0411 063 903 or Julia on 0405 441 775. Follow us on Instagram/Facebook @theblueprintbody to see the results of our members. Are you next?! Offer: Enter XMAS2017 for a 20% DISCOUNT on all online programs, to start by 31 January 2018. Gift vouchers also available. There are over 300 million children in the world without shoes. Some of them are dying and others are not allowed to go to school if they don’t own shoes. Moeloco is a purchase with purpose brand that exists to help give these children a better life through access to education. 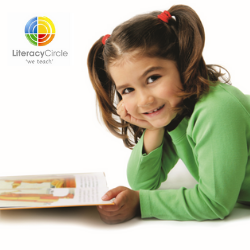 HELP US MAKE A DIFFERENCE. 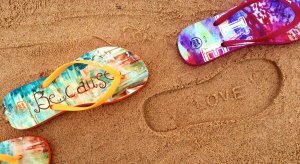 Our shoes are available from our website. Buy one, Give one. Change a life. Available from all good toy stores including Kmart, Big W, Target, Toys “R” Us. 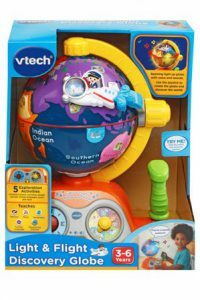 Pilot your own voyage of world discovery with the Vtech Fly & Learn Globe. With five discovery modes that encourage real exploration, young adventurers quickly learn about continents, foreign languages, music, and world wonders. Pop the bubble, shake and bring your new best friend to life. 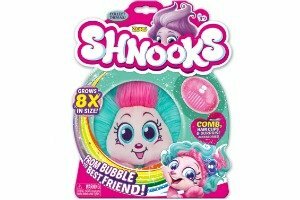 Shnooks magically grow 8x in size from their shnubble bubble pack! Style their luscious hair with their collectable comb and friendship hair clip, and they’ll SHNOOK after you! Six loveable colored Shnooks to collect, all with their own personalities. Twist, shape and fidget with ZURU Tangles. ZURU Tangles have endless uses – they can be a puzzle, a movable sculpture, a desktop toy, a fidget, a brain tool, an antistress device, accessory or even a cosmic art toy with special powers! The possibilities are limitless! Get set for some serious water fun with Bunch O Balloons. Fill and Tie 100 Water Balloons in less than 60 Seconds with these sensational self-tying water balloons! Turn up the water power & fun with range of Bunch of Balloons products such as the Splat Bats and launcher packs. Cool off on Christmas Day or have your own Boxing Day Test Match with a difference. with the wide range of Despicable Me 3 products. 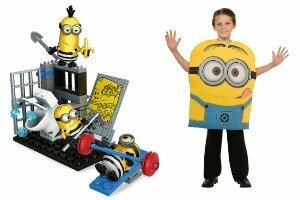 From a fun DVD to character packs and action figures, costumes, buildable figures, transforming cars and more, there’s something for all minions fans. With a brand new movie released DreamWorks Trolls, have created a world where a song can lift anyone up and it’s especially encouraged to let your true colours shine. It’s all about bright colours, fun songs, funky fashion, and wild hair. 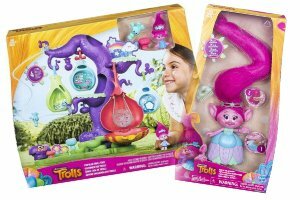 This Christmas, there are a variety of hair raisingly fun play sets and figures which any Trolls fan would just love under the Christmas Tree. The Tonka Classic Steel Mighty Dump Truck’s steel construction vehicle is ready for the toughest loading jobs and guaranteed for life. 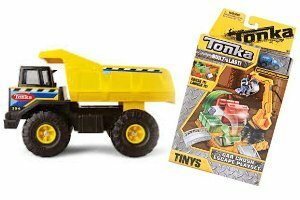 Tonka has withstood the test of time, and has remained a staple of every little boy’s toy box and is an integral part of boyhood. With the Tonka tiny Car Crush Escape, take your Tonka Tinys on an epic adventure through the Car Crush Escape Playset! Featuring a working crane, car crusher and catapult, the Car Crush Escape Playset includes an exclusive Tonka Tinys vehicle and is compatible with every vehicle in the line. All Tonka Tinys playsets can be connected to expand your Tonka Tinys world! Appropriate for ages 5 years and up. Luna Petunia is a fantastical new Netflix original preschool series inspired by the curiosity, surprise and wonder of Cirque du Soleil. 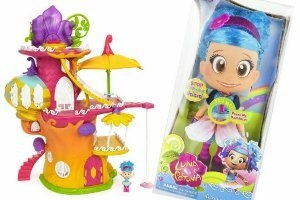 The Luna Petunia talking doll is a 35 cm doll articulated for play and features her signature, brightly coloured outfit and even has hair you can brush and style. And when you push on her magical necklace, you’ll activate sounds from Amazia and some of Luna’s signature phrases from the show! The Deluxe Petunia Manor Treehouse play set features three levels and double-sided play! Activate lights and sounds, take Luna down the working slide and spin her down the pole! There’s also an umbrella that pops open, and a room just for dancing where you can twirl Luna around. Plus, there’s a secret trap door with a ladder that drops down! Includes Luna figure and an exclusive Kitty Bat figure you can fly around the attic. Create massive bubbles at the push of a button with the Gazillion Bubbles Giant Bubble Mill! This special machine and specially formulated bubble solution produce bigger bubbles than ever before in seconds. 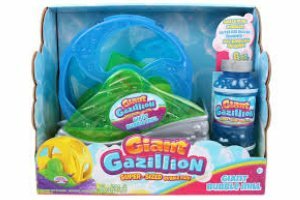 Simply pour Giant Gazillion Bubble Solution into the reservoir, push the button, and watch in amazement as the wheel turns and blows truly GIANT bubbles into the air! These are a cute and colourful way to bring the music from Beat Bugs to life for preschoolers. Little fans of the Netflix series will enjoy hearing some of their favourite songs and getting to play along with them. This will inspire creative music play in the free play mode, and encourage kids to sing and play as they pretend to be their favourite Beat Bugs character. They’re a fun way to introduce today’s kids to the music of The Beatles, and parents won’t mind hearing the music every time their kid plays with this toy. X-Shot Bubble Ball is the hottest new item that takes contact sports to the extreme! Run, Crash, Roll and Smash with its durable material and easy to inflate system! The Bubble Ball can inflate up to 1.2m and withstand tremendous impacts! Use it in your backyard or in a sports field and get your game on! Bring play to life with ROBO ALIVE’s lifelike robotic reptiles. Robotic technology allows it to scurry at speed outrunning even the fastest of predators – can you catch him?! Watch as the Robo Alive Snake silently slithers, while flicking its tongue on the hunt for its next meal or the lifelike Lizard’s eyes, soft rubber tail and head, plus an ultra cool head-tilt sensor meaning it stops and searches for prey when you tilt its neck. Have your own Robo Snake or Lizard. 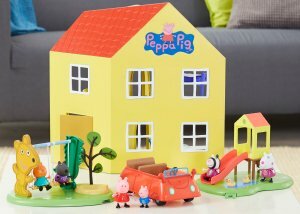 Let Peppa Pig show you around her Family Home with this impressive Peppa Pig Family Home Playset. Complete with six rooms including an attic, study, bedroom, bathroom, kitchen, lounge, lots of furniture pieces and a Peppa Pig figure. 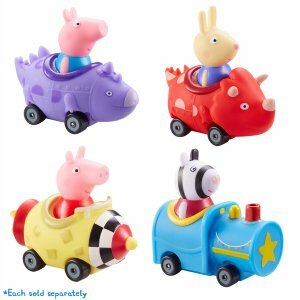 Peppa Pig and her friends are ready to roll in these cute, mini vehicles! Peppa can zoom about in her little rocket, George Pig rides along in a purple dinosaur buggy and here comes Richard Rabbit in… a bright, red dinosaur car! There are so many characters from your favourite show to add to your collection! 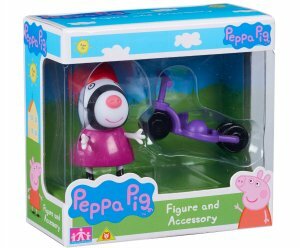 In six collectable styles, these figure and accessory packs feature; Zoe with her scooter, Danny with his spaceship, George with his sandcastle, Freddy with his bicycle, Suzy with her basket and Peppa with her doll’s house. 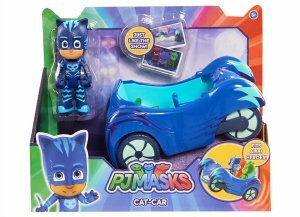 The PJ Masks Vehicles let fans speed, zoom and fly “into the night to save the day” with Catboy and his Cat-Car, Gekko and his Gekko-Mobile, and Owlette and her Owl Glider. Each signature vehicle includes a 3” articulated figure and can fit all three PJ Masks 3” figures inside for teamwork-powered adventures! 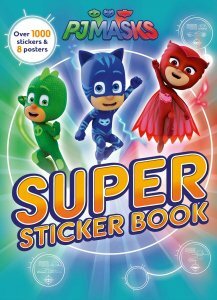 The PJ Masks Super Sticker Book is a super-good time for PJ Masks fans! The 64-page book is filled with full-colour activities to complete and things to draw. There are also eight full-colour posters for parents to cut out and for kids to display, and more than 1,000 stickers! The Leapfrog Sweet Treats Learning Cafe is a super fun cafe that will ave your kids taking your coffee order, making the coffee and treats all whilst learning about numbers, colours and letters. Learning through play is one of the most effective (and fun) ways to learn with kids absorbing information as they interact with the Leapfrog Sweet Treats Learning Cafe. The Leapfrog Sweet Treats Learning Cafe is a super fun learning toy that will encourage learning whilst being super entertaining. The original Stretch Armstrong is back! Stretch him, tie him in knots, he will always go back to his original shape. This 33cm Stretch figure can stretch up to one metre! Release, and Stretch retracts back to his normal size and shape. Wrap up Stretch Amstrong with his own legs and arms – let go, and he frees himself and returns to his original shape. No batteries required.